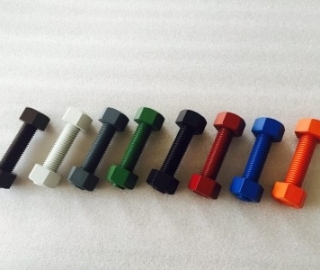 In technical terms, the job of a threaded fastener is to apply a comprehensive force to a connection, creating a joint strong enough to oppose any static, tensile, and dynamic loads that may be placed upon it. By that same token, the fastener(s) used must also be capable of resisting impact, shock, vibration, shear, bend, torque and vector (angular) forces, as well as other compressive loads. Boil away the jargon and it means that bolts work by clamping things together under tension and that both the connection and the bolt must be strong enough resist any force that tries to break that connection or the bolt that’s holding it together. Before we go much further let me point out that while there are formal definitions that distinguish bolts from screws, it’s a lot easier (and just as cor- rect in an informal setting) to use either term to describe threaded fasteners, so unless we need to identify a particular type of fastener, such as sheet metal screw or Allen head bolt, we’ll use the terms screw and bolt interchangeably. Steel, no matter what its composition, is elastic, and when a load is applied to it in tension, it stretches; like any other spring, the further it’s stretched, the more it resists. Think of bolts as very stiff springs, and you’ll have the gist of it. Picture two steel plates, held together by a nut and bolt. Turning the nut advances it along the threads of the bolt, which creates tension on the portion of the bolt that passes through the joint, stretching it slightly. The more torque we apply to the nut, the further the bolt stretches, and the harder it tries to return to its relaxed state. As the bolt stretches a compressive load is placed on the joint, binding it together. That compressive load is directly proportional to the distance the bolt is stretched, which itself is dependent on how tight we can make the nut. In a nutshell, that’s how bolts work, and you can now understand why it’s so important to properly torque fasteners. 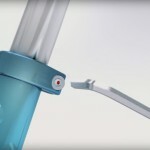 Unless a screw is placed under the proper tension, it won’t be stretched far enough to secure the connection; in effect, it’ll be like any other slack spring—too relaxed to do its job. Of course, a bolt can only be stretched so far. Exceed that limit, and it’ll reach its “Yield Point,” which is the stage at which it can no longer return to its original length when the load is removed. Once a bolt has reached the yield point, any further tightening will stretch it beyond its tensile limit, so it’ll have considerably less clamping power and be more likely to loosen or break in service. A bolt that has reached its yield point will have a “necked” or dog bone appearance to it, and is unsafe to use under any circumstances. Fasteners are identified by type, dimension and physical properties, so some understanding of the nomenclature is always handy. This is particularly true if you need to replace a bolt in an emergency, or for example want to replace one type of bolt with another for appearance or convenience sake. understand that in some instances a given application may require specialized hardware, so while replacing a luggage rack fastener with a generic bolt from the local True-Value store is perfectly acceptable, the same can’t be said if you’re replacing something like a dished head UBS-style motor mount bolt with a hunk of threaded rod. As the name implies, the head of the bolt incorporates hexagonal flats to accommodate a wrench or socket. Technically speaking, bolts are always tightened by a nut. When they’re threaded into tapped holes, they’re sometimes referred to as cap screws. These have a flare resembling a small washer machined into them. These are often used to hold things like engine side covers in place, and have largely replaced Phillips head screws in that role because they are less susceptible to damage during installation and removal. Larger sizes are used when it’s desirable not to use a separate washer. Allens use internal hexes, which facilitate installation and removal; both button and countersunk versions are available. Torx-style bolts use a unique 6-point hex-globe shape to engage the tool. The drive may be internal, in which case it’s called a T-type, or external, the E-type. A variation of the design uses a small projection, which requires a dedicated tool. 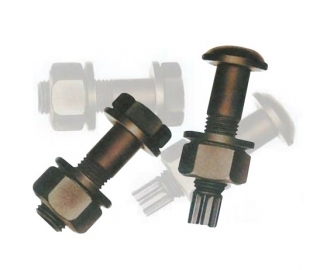 These are known as tamper-proof and are used to prevent people from adjusting things they shouldn’t, like throttle position sensors. These used to be the bane of every mechanic. Most of us are familiar with these cross-slotted screws, and I daresay we’ve all stripped our fair share of them. They’re no longer very popular and that’s a good thing. Studs are pieces of threaded rod without hexes that are screwed into a component; a nut is then used to hold something to it. 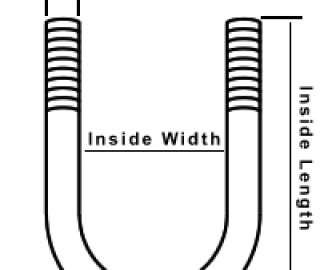 Very often studs are used to clamp things like cylinders to cases or heads to cylinders. How do I determine the yield and tensile strength of a specific diameter of bolt?